A knowledge of your examination board. After marking any mock examinations. 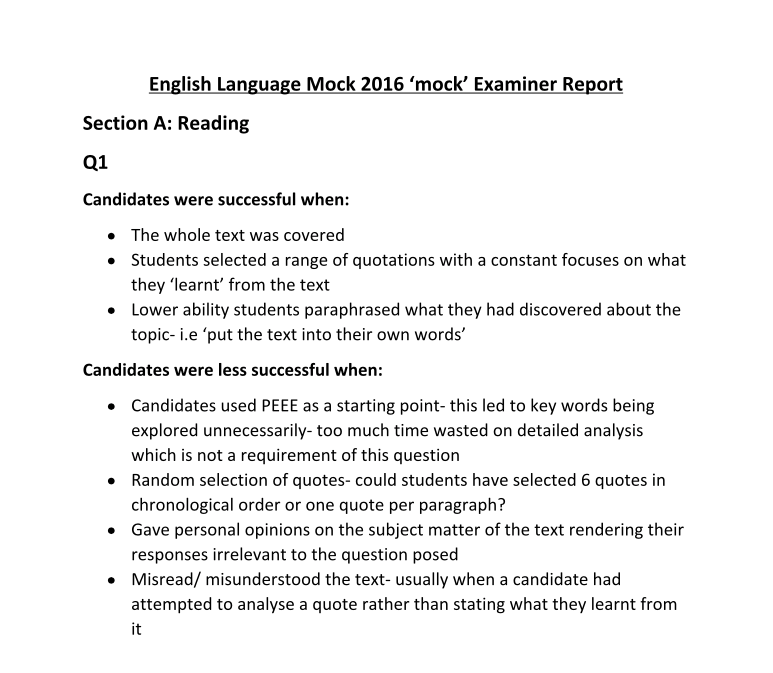 Ask staff to send their comments regarding the strengths, weakness or trends and patterns they found for each question (much like exam boards do after marking for any exam). Then write an internal examination report, replicating the exam boards evaluation after each exam series, however, make yours personal. Make it about your students and their common mistakes – the report is focused on what we are teaching well and what students typically struggle with. As a department read the internal report, discussed the findings and make a plan on how to tailor teaching to address issues that are found. A very worthwhile experience after any mock exam! All teachers use the document to aid their feedback sessions with students. Mark in tutor groups, so staff can all have experience of marking a range of abilities, it helps them to understand the mark scheme better.